The Daventry Area Community Transport (DACT) Mobility Shop has announced the extension of its current mobility store, with Earl Spencer being the guest of honour at the opening, who will be at the shop on the 22nd of March 2019 from midday onwards. Based in Daventry, Northamptonshire, the new extension of the DACT Mobility Shop will enable the retailer to offer a mobility and information advice hub, individually tailored mobility solutions and a range of mobility equipment for hire for individuals. The extension aims to give people greater involvement in community life and help them tackle the issues of isolation and loneliness. Additionally, the new hub will signpost customers to other essential mobility and health services they may not be aware of, such as continence teams, housing adaptation teams, care companies, day centres, social services, council blue badge scheme and benefits advice teams. The DACT Mobility shop is currently ran by 19 volunteers, with volunteer trustees having full oversight. However, it is expected that there will be 25 volunteers in the future to operate the mobility store. Rob Kinning, Chief Executive of DACT, told the Daventry Express: “Daventry Area Community Transport (DACT) are delighted to announce that the Earl Spencer has agreed to conduct the opening ceremony and celebration of the new DACT Mobility Shop extension in New Street, Daventry and to highlight the outstanding work carried out by the DACT Mobility volunteers. “Earl Spencer has taken an interest in the work of DACT since we started 25 years ago, and in the very early years he allowed DACT to hold a fundraising event of an ‘Easter Egg Hunt’ in the grounds of Althorp Park. 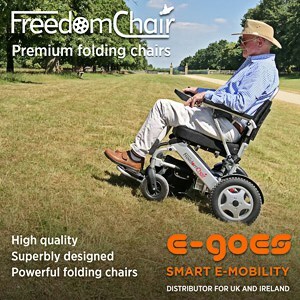 The DACT Mobility Shop offers a wide range of mobility equipment, including stairlifts, mobility scooters, rise & recline chairs and self-propelled wheelchairs. It also offers scooter and wheelchair hire alongside mobility scooter servicing and repairs.